hd00:10SAO PAULO, BRAZIL. CIRCA MAY 2015. Traffic. Bandeirantes avenue, Sao Paulo, Brazil. Cars, truck, bus. hd00:19HONG KONG - APRIL 19 , 2017: Point of view of a traditional tram going through the Central district in Hong Kong island. The tramway is a popular transport and a touristic attraction. hd00:28HONG KONG, CHINA - CIRCA JUNE 2014: City view from the Hong Kong double-decker tram. 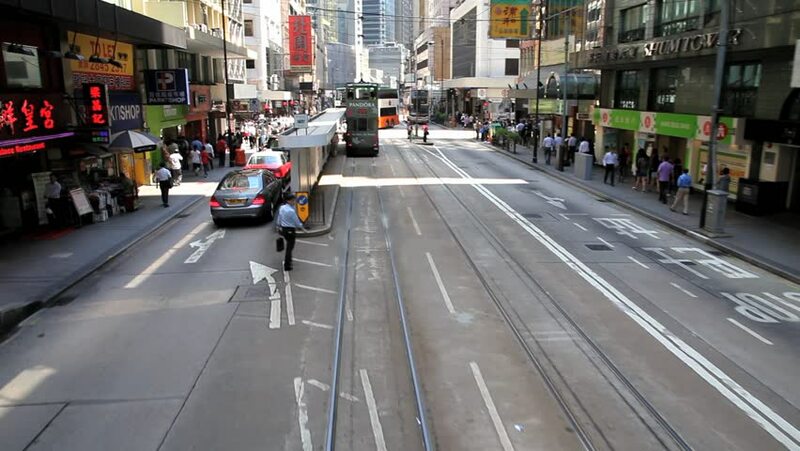 Hong Kong Tramways is a tram system, being one of the earliest forms of public transport in the metropolis.